Vampire warrior Selene becomes entrenched in a conflict between vampires and werewolves while she fallis in love with Michael, a human who is sought by werewolves for unknown reasons. Here’s how I bet its creators pitched 2003’s Underworld to studio execs: “It’s The Matrix with vampires!” But that simplifies things, for Underworld isn’t really just The Matrix with vampires. At its heart, it’s The Matrix with vampires... and werewolves! At the start of Underworld, we learn of an ancient blood feud between vampires and Lycans, creatures we refer to as werewolves. Unlike the movie beasts we know, some old and powerful Lycans can change form at will. Vampires called Death Dealers try to kill off the Lycans. An event known as “The Awakening” will occur in a few days. Apparently there are three main vampire leaders, and they alternate the head spot for a century at a time while the other two snooze. The Awakening brings back the one whose turn comes next. Death Dealer Selene (Kate Beckinsale) warns the others that the Lycans have something big in the works and this may coincide with the Awakening. Kraven (Shane Brolly) remains in charge until the Awakening, and he and Selene don’t seem to get along. She doesn’t think he’s much of a leader, and he mostly ignores her theories. Selene believes the Lycans tried to follow and capture a human named Michael Corvin (Scott Speedman), but again, Kraven discounts her ideas. Against his wishes, Selene finds and nabs him, but Michael escapes after too long. Slowly the plot emerges that relates why the Lycans want Corvin, and we also discover some underhanded dealings that connect to the apparently-long-dead Lycan leader Lucian (Michael Sheen). I wish I could say that the story exists as an excuse for some fine vampire vs. werewolf action, but unfortunately, those moments never really emerge. Oh, we do get battles between the two groups, but they seem almost superfluous. The fights come across like the filmmakers add them because they feel they have to do so, not because they want to do so. Underworld remains much more concerned with its story about politics and deception than with action. And that’s its greatest shortcoming, as the thing simply seems dull much of the time. It starts out with a decent bang, for though its obvious thievery from The Matrix detracts from the opening battle, Underworld still gets us into the mood and allows us to anticipate fights yet to come. Unfortunately, those never really develop. Some action occurs but the efforts feel half-hearted and don’t manage to involve us and get pulses racing. That seems like a disappointment, for the idea behind Underworld remains a good one. As “high concept” as it may be, that doesn’t mean it can’t be entertaining. Sadly, fun is in short supply during this film, and it just comes across as bland and plodding. The narrative itself suffers from some problems. The backstory behind the Lycan/vampire war seems intriguing, but the movie concentrates so much on the hunt for Corvin that we don’t learn much about this. Enough emerges to set up the characters and their motivations, but the film appears more interested in Corvin/Selene and a theoretical romance between them. None of this goes anywhere. Beckinsale and Speedman look good, but they enjoy no chemistry in their moments together. None of the actors brings a whole lot to their roles, actually. They seem competent but no one breaks out of the pack to add some spark to the dull proceedings. All of this leaves Underworld as a bland effort. The film fails to muster much of interest, and it comes as a definite disappointment. Note that this disc presents an “Unrated Extended Cut” of Underworld. The longer Underworld offers some fresh footage but also loses some material from the original version. According to the press release, the extended cut adds 12 minutes overall and also uses 11 minutes of “different angles and takes”. Does any of this make any difference? Not to my eyes. I only saw Underworld once, and although this occurred just four months before I watched the Extended Cut. I didn’t remember that initial experience well enough to notice any significant changes. A few scenes seemed vaguely unfamiliar, but there was nothing that stood out to me as a massive alteration. The story and progression remain virtually the same, as do the ultimate impact of the film. I continue to want to like Underworld and feel like I should like Underworld, but I still don’t think much of it. Underworld appears in an aspect ratio of approximately 2.35:1 on this Blu-ray Disc. The picture held up pretty well. Sharpness seemed positive. A few wider shots betrayed a little softness, but those instances were minor, so most of the film appeared accurate and concise. Jagged edges and moiré effects created no concerns, and I saw no edge haloes. I noticed no signs of print flaws, as the image looked clean. Underworld presented such a flat palette that it virtually came across as a black and white film. Even shots of blood appeared muted, as the vast majority of the film came across in varying levels of blue and dark tones. A little green showed up at times – ala Matrix - but even that stayed modest. Some mild reds appeared as well, but they didn’t show up with much frequency. Blues and blacks ruled the day, and all the tones looked accurately reproduced within their limitations. As for the dark elements, they were deep and dense. I thought blacks seemed nicely replicated and presented clear, taut textures. Low-light shots came across well. Despite its stylistic limitations, Underworld presented a fine transfer. The Uncompressed PCM 5.1 soundtrack of Underworld scored points for ambition, as the soundfield seemed terrific. The movie presented a wide and broad spectrum that presented a strong feeling of environment. The mix utilized all five channels in an active and involving way. Vampires and Lycans moved all around the soundscape cleanly and in a lively manner, and other violent elements popped up in various appropriate places. These meshed together well and created a vivid and enveloping sense of place. Audio quality seemed good, as dialogue was natural and well-defined, and I noticed no issues connected to intelligibility or edginess. Music seemed smooth and vibrant, with clean highs and manageable low-end. Effects were solid, as the mix offered clear elements that boasted nice low-end as well. The whole package fit together well to create a very good soundtrack. How did the Blu-ray compare to the DVD version of the Extended Cut? Audio showed similar ambition but offered superior quality, mainly because the Blu-ray tamed the overcooked bass response of the DVD. That version suffered from low-end that threatened to overwhelm the rest of the mix, but the PCM lossless mix felt better balanced. Visuals showed the usual upgrades, as the Blu-ray looked tighter and smoother than the DVD. Across the board, this became a nice improvement. The Blu-ray repeats most of the extras from the Extended Cut DVD, and these start with an audio commentary from director Len Wiseman plus actors Kate Beckinsale and Scott Speedman, all of whom sit together for their running, screen-specific chat. Actually, Speedman leaves for an audition about 60 percent of the way through the piece, which then continues with just Beckinsale and Wiseman. Don’t expect a great deal of concrete information from this track, but do anticipate it to offer a lot of fun. As for the facts, we hear about changes made from the theatrical flick and this extended version, and we also discover lots of notes from the set and various experiences. Mostly the trio joke around and insult each other, which makes this one of the less fluffy and backslapping commentaries I’ve heard. It also makes the track very entertaining. Speedman suffers as the brunt of many insults, especially since it occasionally comes across as though he never actually saw Underworld. When Speedman splits, the commentary loses energy. It remains fairly interesting and actually starts to focus more on movie-related data, especially since most of the changes made for the extended cut occur during the third act - it’s just not as much fun. In any case, the overall result offers a pretty enjoyable commentary. One interesting twist: Wiseman often goes out of his way to remind us this isn’t a director’s cut, and he expresses that he doesn’t much like a lot of the new material. Some of the added footage seems to please him, but not all. Next we locate a collection of outtakes that runs three minutes, 43 seconds. Expect the usual amalgamation of goofs and silliness, as nothing terribly interesting shows up here. After this we find a featurette entitled Fang vs. Fiction. 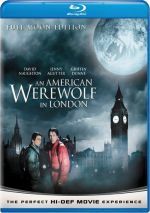 It fills 47 minutes, 18 seconds as it presents a look at the history of vampires and werewolves. We hear from authors J. Gordon Melton, Daniel Cohen, Brad Steiger, Katherine Ramsland, Linda Godfrey, and Kalila Smith, Transylvanian Society of Dracula head Nicolae Paduraru, “lycanthrope” Gypsy Zanval, British Psychic and Occult Society chief David Farrant, werewolf witness Freddie Salazar, and “vampires” Crudelia and Morditha Kalavera. They discuss various cultural myths of vampires and werewolves as well as more recent concepts, specifics about the histories, modern incidents with vampires and werewolves, and the current subcultures. The program treats the subject too literally and seems to present most of the concepts as probable. This makes it informative about the myths but fairly silly, especially when we see the absurd “real” werewolves and vampires. Still, “Fang” includes a fair amount of useful notes, and it provides a decent look at different ideas. The Making of Underworld runs 13 minutes, two seconds as we hear from Wiseman, Grevioux, McBride, producers Richard Wright and Gary Lucchesi, assistant stunt coordinator Scott McElroy, stunt coordinator Brad Martin, creature effects supervisor Guy Himber, and actors Kate Beckinsale, Bill Nighy, Scott Speedman, Shane Brolly, Erwin Leder, Sophia Myles, and Michael Sheen. Mostly they cover the story of the film, but we also get a little information about the devices used to create the on-set creatures and some stunts. Those moments are fine, but they don’t fill enough of the piece, as it mainly just shows movie clips and touts the film. It’s a mediocre program, and since all of the decent info appears in subsequent featurettes, it becomes pretty useless. After this we find the nine-minute, 56-second program called The Visual Effects of Underworld. It presents comments from executive producer/visual effects supervisor James McQuaide, visual effects supervisor Payam Shohadai, and editor Martin Hunter. We hear about the general duties of the visual effects supervisor and the use of 3D elements plus specifics for things like lycan transformations, Selene’s jump at the start of the movie and other CG bits that don’t seem obvious, and Lucian’s car accident. The program tosses out enough hard data to make it useful, but it doesn’t give us a ton of depth. It needs to be a little longer and a little richer. Next we get a look at Creature Effects. This 12-minute, 30-second featurette includes notes from Tatopoulos, Wiseman, McBride, Himber, Nighy, creature effects art director Steve Wang, and lab technician supervisor Gabe Bartalos. They discuss the design and creation of the Lycans plus a little about Viktor’s visual elements. It’s a concise and informative program. In the 11-minute, 43-second Stunts, we find comments from Wiseman, Martin, Beckinsale, McElroy, Wright, McBride, Sheen, Nighy and Speedman. They cover training for the actors, design of wire work, and various other stunt-related issues. “Stunts” seems clear and interesting, and it stands out as particularly good due to the fun shots of rehearsals and training. Designing Underworld fills 10 minutes, 46 seconds with remarks from production designer/conceptual artist Bruton Jones and director Wiseman. We learn about creating an atmosphere with visual design, specifics about sets and various designs, costumes, and props. The participants prove informative and useful as they elaborate on the decisions and goals for the material in this pretty tight little program. With The Look of Underworld, we get a 19-minute, 12-second piece that presents statements from Wiseman, producer Richard Wright, cinematographer Tony Pierce-Roberts, and visual effects supervisor McQuaide. They chat about preparatory drawings, choosing a cinematographer, color schemes and digital color correction, general visual design, shooting constantly at night, and location scouts and working in Europe. “Look” becomes another solid program. It includes a concise examination of the subjects and moves briskly, which makes it a fine show that gives us a lot of good notes. Finally, Sights and Sounds runs nine minutes, seven seconds and presents a montage of material from the set. We see video footage of random behind the scenes shots. These don’t seem terrific, and it occasionally resembles a long gag reel. Still, it gives us a moderately interesting and enjoyable glimpse at the production. After this we find a music video for “Worms of the Earth” by Finch. They offer a lip-synch performance of the tune and we see many movie clips in this dull video. The storyboard comparison presents a split-screen examination of the movie’s opening sequence and four other scenes. It runs six minutes, 42 seconds and offers a decent look at the material. From the Extended Cut DVD, the Blu-ray drops some TV spots, previews and paper materials. Of course, the Blu-ray also doesn’t present the film’s theatrical cut, which means we also don’t get the two audio commentaries that accompanied that version. It’s a shame we don’t get the theatrical version on Blu-ray, especially since the director prefers it. Though Underworld enjoys a terrific concept behind it, it largely squanders its potential. The movie looks good but presents very little excitement or real intrigue. The Blu-ray boasts strong picture and audio as well as an informative collection of bonus materials. While I like this release, the movie itself continues to leave me cold.